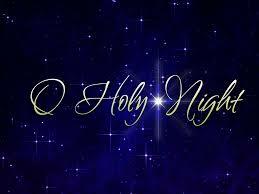 Home Thoughts on Things Oh Holy Night…. Despite that I don’t offer the Daily Number on a regular basis anymore (you know where to find me if you are ever looking for numerological information), I do still enjoy calculating the year’s most significant days. Appropriately, since this is Christmas Eve, the 6 is a “home” day…a day for celebrating our families—all our relations—indeed all of humanity. As it is the 24th in general, it is a day for taking a personal inventory. Could you make your surroundings more comfortable today? Well, probably not—since the trees and the greens and the bows and the angel figurines and manger scenes and all that represent holiday preparation couldn’t possibly be more comforting. Could we be more cheerful? If not now, then when?? Today, we release our responsibilities in exchange for the expectation of the joy that is coming to us—or rather the joy that is here simply awaiting our embrace. Surrender concerns today. Release them. Bless them for playing their part in the overall script of your life this past year, but know that they are minimal in comparison to the meaning of this sacred season. Needless to say, make home and family the priority of the day, and fill your day with music, for therein lies our greatest healer—the frequencies and vibration of Creation, reminding us that we are one with all that is and All Is Well with all that is.